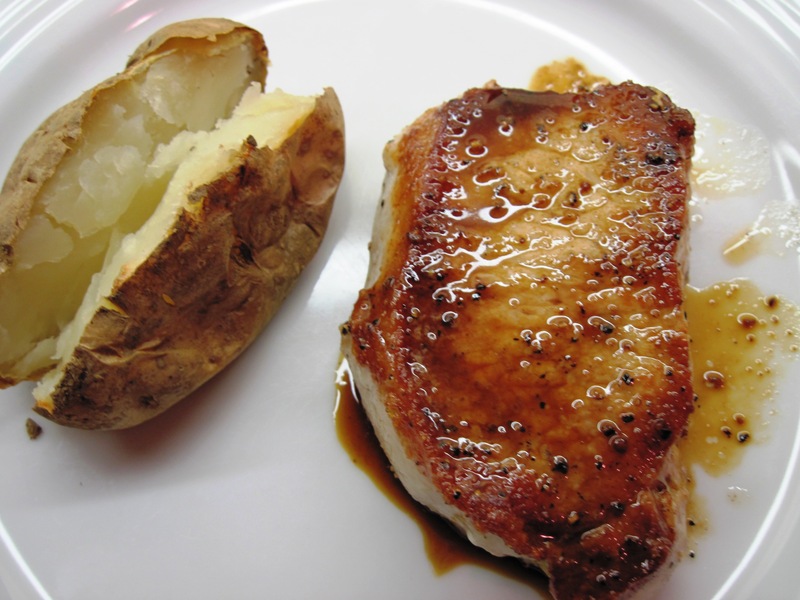 When I make pork chops, I most often use the recipe from Julia Child’s The Way to Cook. It’s fast, easy, and reliable. Last night we had them with baked potatoes and a big salad. 4. Generously salt one side of the pork chops. Grind a bit of black pepper on them. 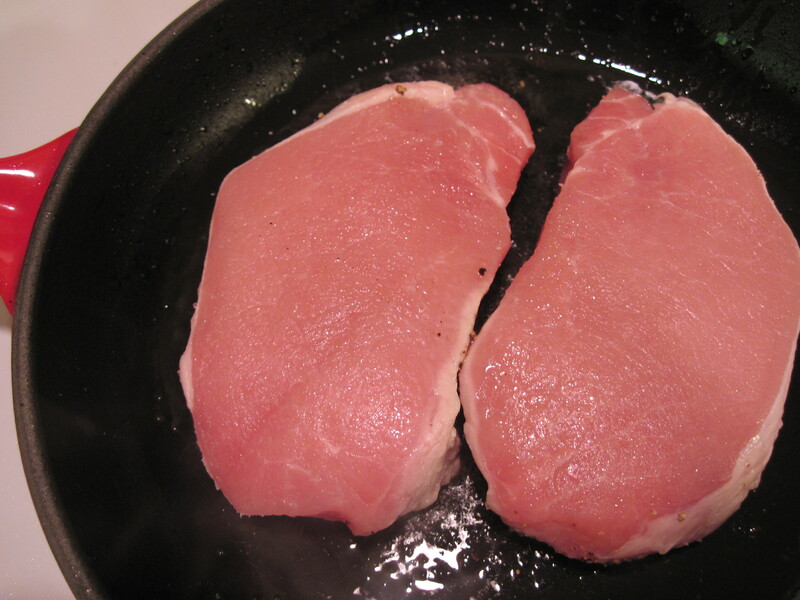 Put the chops, salt side down in the hot skillet. 5. Cook for 4 minutes. Generously salt the top side, and grind a bit more pepper. 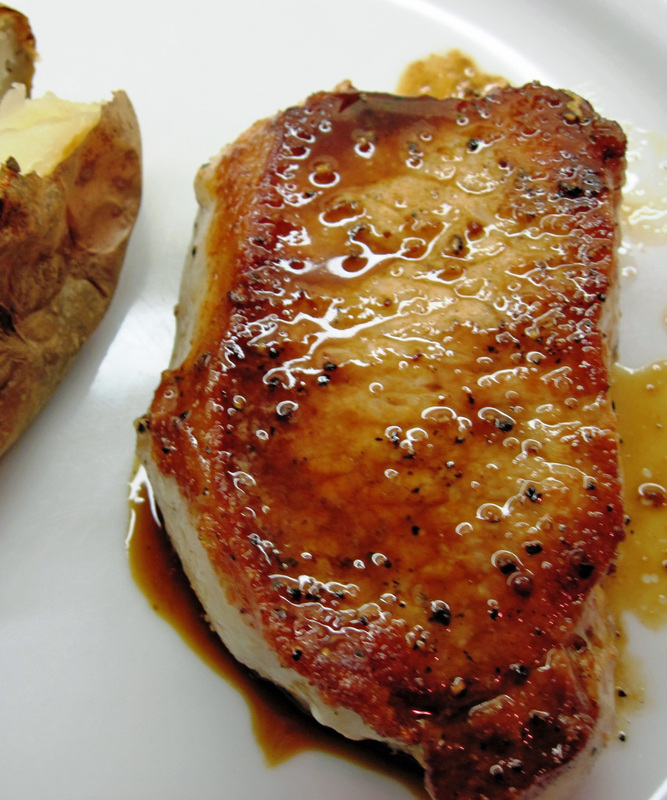 Turn the pork chops over.